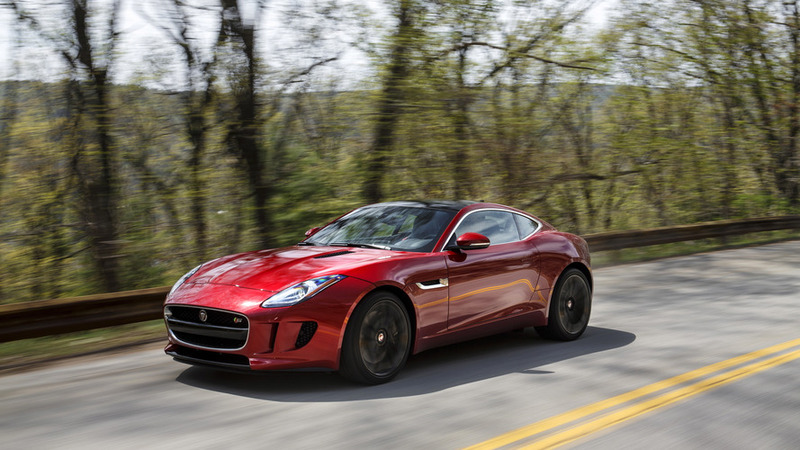 The 2018 model year brings a bevy of updates for the F-Type, beginning on the outside with some discreet changes for the front bumper, although you’ll have to be a diehard Jaguar fan with a magnifying glass to spot the tweaks. 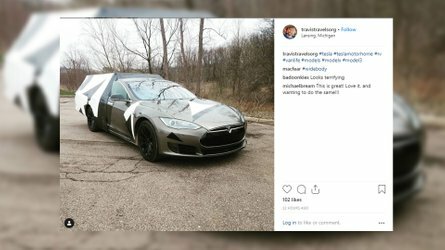 A more important novelty would have to be the full-LED headlights lending the big cat with a more high-tech appearance. That’s about it in terms of changes on the outside, unless you’re taking into account that hood-mounted GoPro. It’s there in some of the images to emphasize the collaboration between Jaguar and the well-known action camera manufacturer. 2018MY F-Type owners will be able to download an app called “ReRun,” which as you might have guessed already will show real-time footage via the GoPro camera mounted on the car. 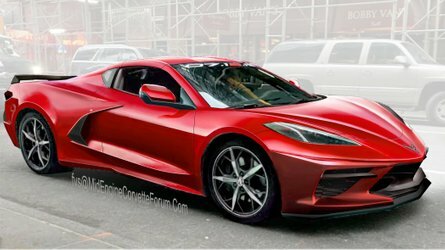 It will be possible by hooking up your smartphone wirelessly to the camera and also linking it to the car’s new Touch Pro infotainment system through a USB port before beginning to record. Jaguar is also installing new lightweight and slimmer seats providing increased ergonomics and greater comfort while shaving off more than 8 kg (17.7 lbs) compared to the previous seats. 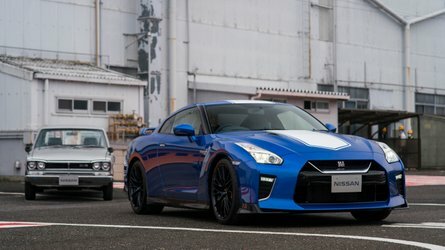 The frame is made from pressure diecast magnesium alloy and the seats are going to be available in Sport and Performance versions, with both heating and cooling available. 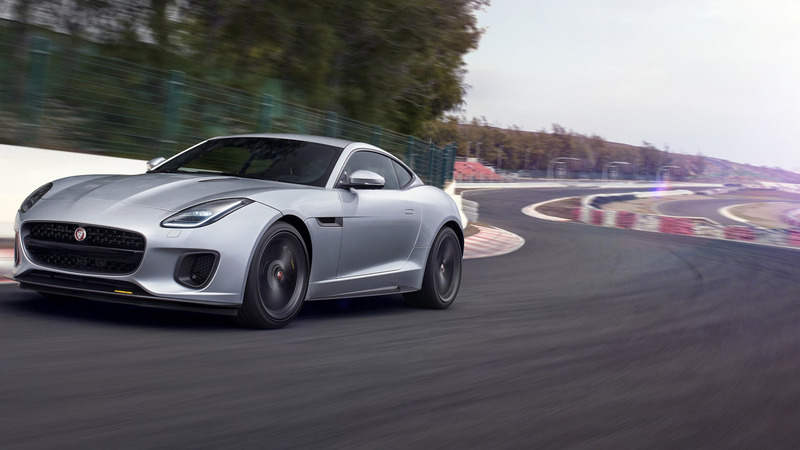 Lastly, 2018 model year also welcomes an F-Type 400 Sport Launch Edition available only for this model year exclusively with the supercharged 3.0-liter V6 upgraded by 20 horsepower to churn a total of 400 hp. 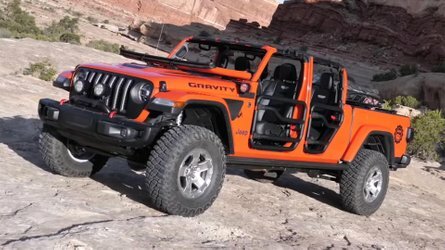 Available in both rear- and all-wheel-drive flavors, the special edition is fitted with an eight-speed Quickshift gearbox and comes as standard with a mechanical limited slip differential. You’ll be able to tell it apart from the other F-Types by the yellow and dark satin grey “400 Sport” badges and the Yulong White, Santorini Black, or Indus Silver body paint. More “400 Sport” branding is noticeable on the inside where there is yellow contrast stitching to spice things up. Pricing is already out in U.K. where the base model kicks off at £51,450 OTR while the SVR flagship will set you back a cool £110,000. Sales are scheduled to being from the first quarter of 2017. To find out all of the changes the 2018MY is bringing, check out the lengthy press release below. 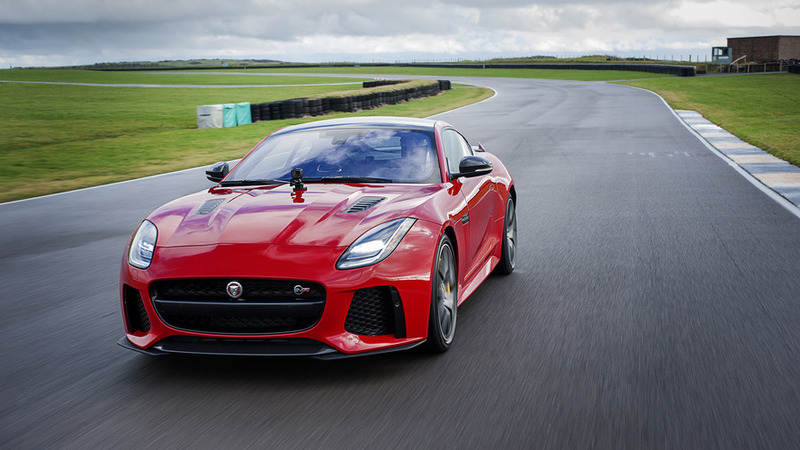 The new F-TYPE range offers even more driver-focused technology and a broader model range than ever, comprising 22 derivatives from the purist appeal of the rear-wheel drive, 340PS F-TYPE to the 200mph, all-wheel drive F-TYPE SVR – Jaguar’s all-weather supercar. 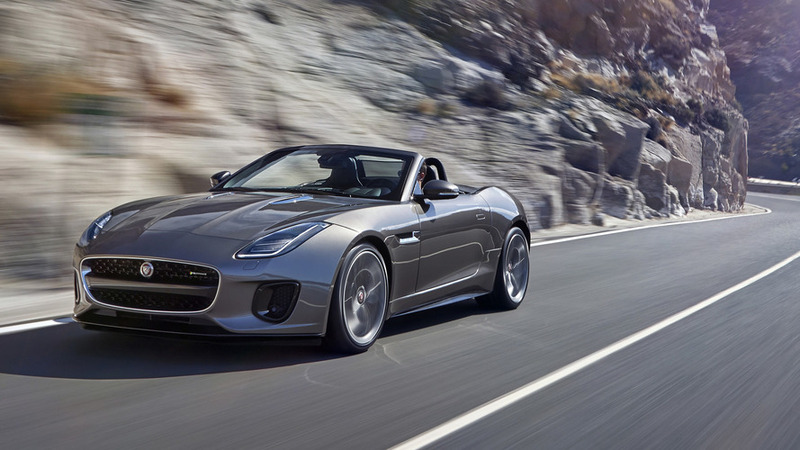 18 Model Year introduces the R-Dynamic derivative proposition to the F-TYPE line-up. It is available as a 340PS V6 F-TYPE R-Dynamic and offers 19-inch wheels, LED Headlights, Exterior body styling with gloss black accents, interior console change and switchable active exhaust for £3,700 over the 340PS V6 F-TYPE. The 380PS V6 F-TYPE R-Dynamic replaces the 380PS V6S of today, and also incorporates these striking visual changes as well as coming with 20-inch alloy wheels. In place of its predecessor’s double ‘shark gill’ apertures, the new F-TYPE features large, powerful single apertures with a lozenge mesh design. Building on this design theme, the F-TYPE R-Dynamic model gains Gloss Black bezels. 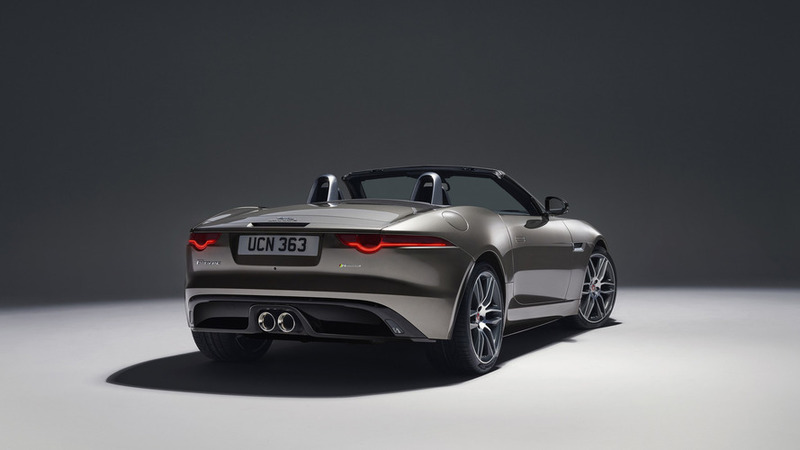 F-TYPE now sports a simple, knurled aluminium finish, in R-Dynamic models the new Delta aluminium finisher adds a sportive feel, while R models are differentiated by a Linear Vee aluminium finish with the iconic “R” etched prominently into the surface. 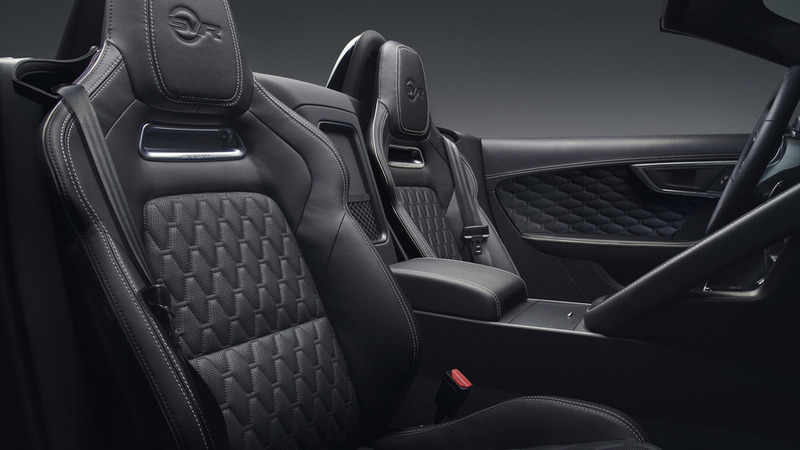 A carbon fibre console finisher is now available as an option across the range.